Microsoft's latest version of its upcoming IE9 browser may finally be competitive. Those who have written off IE as being slow and old-looking are in for a surprise. The just-released Internet Explorer 9 beta is dramatically faster than its predecessor, sports an elegant, stripped-down interface and adds some useful new features. IE9's interface is spare and clean-looking. With the release of its beta, Internet Explorer now joins the other major browsers -- Firefox 4 beta and Chrome -- in using a stripped-down interface. 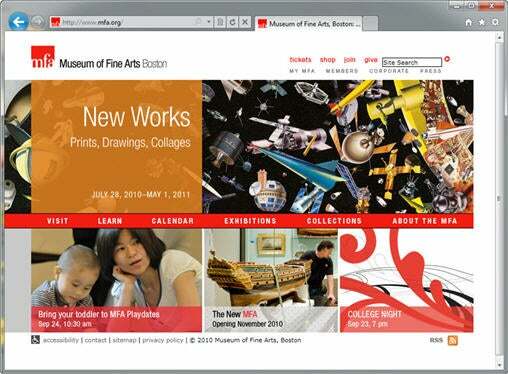 Web pages take center stage, tabs are at the top of the browser and unnecessary buttons and controls have been removed. Like those two competing browsers, IE9's interface is spare and clean-looking, although the Bing toolbar, which runs by default, adds a bit of clutter. If you're a fan of toolbars in general, and Bing in particular, you'll find it useful; otherwise you can easily remove it. The top and sides of the browser are transparent, using the Windows Vista and Windows 7 "glass" feature. When you open a new tab, IE9 opens with thumbnails of pages you've visited most frequently. Access to IE9's features is available via three small icons on the upper right-hand side of the screen. They consist of a Home button, a button for using and managing Favorites, and a Tools icon in the shape of a gear, which gives you access to all of the browser's other features, including tools for setting your options, printing, zooming in and out, managing your security level and add-ons and so on. IE9 also makes good use of another popular feature -- when you open a new tab, rather than go to a blank page, the tab opens with the thumbnails of pages you've visited most frequently. As an added attraction, a bar at the bottom of each thumbnail shows how frequently you've visited the page -- a long bar for one you've visited a lot, a shorter bar for those you've visited less frequently. From this page, you can also reopen tabs you've closed in the current browsing session or reopen the tabs from your last session.